What is Fermentation and Why is it so Popular? Fermentation is one of the most popular topics in the health world right now. From fermented tea (kombucha) to fermented vegetables (sauerkraut, kimchi), there is a huge rush to consume new types of fermented foods, as well as foods that have been traditionally fermented. When is Fermentation NOT a Good Idea? Fermentation is a process that works well on carbs but not on fats. Fats do not ferment, instead, fats break down and oxidise when exposed to oxygen produced by the fermentation process. The by-products produced during the fermentation process, in fact, damage the fatty acid molecules in the oil, causing rancidity. The most heavily researched fatty acids from Cod Liver Oil; EPA & DHA, are particularly sensitive to oxygen, and exposure to air weakens the double bonds which give EPA & DHA their unique properties. As these essential fatty acids are the most beneficial component of fish oil, damage to these compounds reduces the overall effectiveness of the fish oil. But What About Tradition – Didn’t the Vikings Drink Fermented Cod Liver Oil? During the days of the Viking, there was no such technology as refrigeration, hence their need to turn to other methods such as fermentation. The Cod Liver would be tossed into empty barrels of seawater and cod flesh was set aside and dried as a jerky. The Cod Liver would float to the top of the barrel. As time went on and the cod livers began to rot and decay, they were then cooked over an open flame in an iron cauldron, extracting any remaining oils from cod livers. 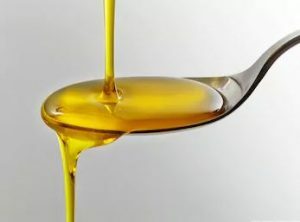 However, even then, the first and freshest oils were preferred and referred to as ‘’raw medicinal oils’’. Luckily, technology has significantly improved since those days and we can now extract & preserve the freshness of the the cod liver oil without using methods that may cause damage to its beneficial qualities. How is Fresh Cod Liver Oil Extracted? All fish oil, regardless of whether is it fermented or not, needs to be processed to remove contaminants and pass minimum laws and standards. This process always requires heat. However, heat itself does not cause oxidative damage to the fish oil; it can only affect the rate of oxidation. In fresh cod liver oil, without the presence of free radicals or oxygen, there is no oxidation to speed up. Therefore, fermented and fresh cod liver oil will differ starkly in their oxidative/free radical content. Truly fresh cod liver oil is simply safer and healthier than oxidised/fermented cod liver oil. The byproducts of fermented or oxidated cod liver oil have a high vapour pressure (think fishy burps!) and the distinctly disagreeable taste and smell of rancid fish. Once again the lack of rancidity/oxidation in fresh fish oils greatly improves the taste and smell. A fishy smell and taste indicate that the oil is rancid and should not be consumed. Our bodies use our nose as a natural indicator of what is safe for us and what is not. Freshness, which ensures product integrity and effectiveness, may be the single most important quality for a product such as cod liver oil, primarily due to the ability of fish oil to be so easily oxidised. Freshness makes for a more pleasant consumption experience, and on the physiological level, fresh fish oil prevents cell-damaging free radical formation. Nordic Naturals genuine Arctic Cod Liver Oil is a safe whole-food way of getting your omega-3s, as well as naturally-occurring, safe levels of vitamins A & D. Nordic Naturals’ mission is to make the freshest oils on the planet, and as such provide third-party Certificates of Analysis (which validate freshness and purity levels) for every bottle.